Researchers increasingly use Artificial Neural Networks (ANNs) to predict outcomes across a broad range of applications. They frequently find the predictive power of ANNs to be as good as or better than conventional discrete choice models. This paper demonstrates the use of an ANN to model a consumer’s choice to participate in North Carolina’s Maternity Care Coordination (MCC) program, a state sponsored voluntary public health service initiative. Maternal and infant Medicaid claims data and birth certificate data were collected for 59,999 births in North Carolina during the years 2000-2002. Part of this sample was used to train and test an ANN that predicts voluntary enrollment in MCC. When tested against a hold-out production sample, the ANN model correctly predicted 99.69% of those choosing to participant and 100% of those choosing not to participant in the MCC program. 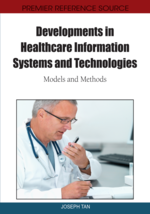 Information technology (IT) plays a pervasive role throughout the healthcare industry. In addition to providing the data storage and data processing capabilities needed to support the business management, customer relations management, human resource management and office automations requirements of healthcare organizations, IT also is used increasingly to support decision making functions. Most decision support methodologies rely on the mathematical modeling of historical data. Many of these systems, such as the widely accepted Acute Physiology and Chronic Health Evaluation (APACHE) system, are based on binary LOGIT regression estimations or other statistical analysis techniques. This type of modeling requires the specification of a priori functional relationships between dependent and independent variables based on assumptions such as correct model specification, error-free measurement of independent variables, and normally distributed, heteroscedastistic, independent, zero-mean residuals. It is more likely, however, that healthcare decisions will depend on a variety of factors involving complex, hidden interrelationships of both socio-demographic and health related characteristics. To address issues of non-linearity and complex relationships in study data, many modelers have turned to other methods of analysis that fall under the broader categorization of “artificial intelligence” (AI). AI, which attempts to give computers human-like reasoning capabilities, includes techniques such at expert systems, fuzzy systems, genetic algorithms, case based reasoning and a variety of classifier systems like the Artificial Neural Network (ANN) used in this study. Because of advantages like ease of optimization, prediction accuracy, easy knowledge dissemination, workload reduction and decision support, Artificial Neural Networks have been widely accepted and used for more than a decade in the healthcare arena (Lisboa & Taktak, 2006). When used in medical applications, ANNs are known to provide decision support assistance that can produce highly accurate results (Kaur & Wasan, 2006) and better predictive performance than other modeling alternatives (Alkan et al., 2005; Alpsan et al., 1995; Goss & Vozikis, 2002). Medical applications of ANN include diverse examples ranging from the analysis trauma data (Chesney et al., 2006; Eftekhar et al., 2005) to predicting the contact map structures of proteins (Chen et al., 2008). ANNs have proven useful in medically related classifications including drug and non-drug chemical compounds (Pehlivanli et al., 2008), genes (Wang et al., 2008), heart sounds (Ari & Saha, 2008), liver abnormalities (Poonguzhali & Ravindran, 2007) and types of epileptic seizures (Najumnissa & ShenbagaDevi, 2008). ANNs also have been successfully applied to the diagnoses of cancer (Lisboa & Taktak, 2006), cardiac state (Samanta & Nataraj, 2008), diabetes (Kuar & Wasan, 2006), gastrointestinal hemorrhage (Das et al., 2003) and myocardial infarction (Baxt, 1991; Baxt et al., 2002).